Turkish President Recep Tayyip Erdogan has won tightly-contested presidential polls, the election authority said Monday, extending his 15-year grip on power as the opposition complained bitterly about the conduct of the vote count. 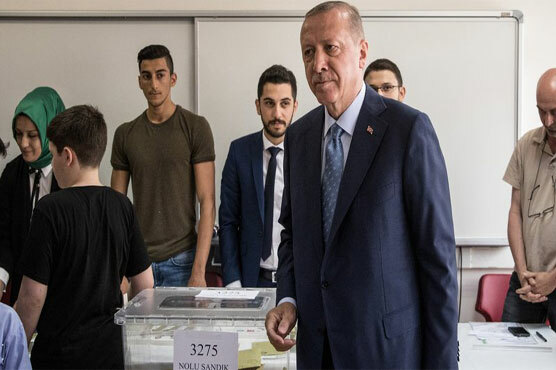 Turkish voters had for the first time cast ballots for both president and parliament in the snap elections, with Erdogan looking for a first-round knockout and an overall majority for his ruling Justice and Development Party (AKP). Erdogan defeated his nearest rival Muharrem Ince with an “absolute majority” of more than half the vote without needing a second round, said the chief of Turkey selection authority, Sadi Guven.